How can information help when taking long-term medication? How to keep track of your medication? What can you do to remember to take the medication? What could help me to use long-term medications safely? How can parents avoid mistakes when giving children medication? Which bacteria are resistant to antibiotics and why are they dangerous? What can I do to prevent antibiotic resistance? What's important to consider when taking antibiotics? Which painkillers are available over the counter? Who has a particularly high risk of complications? When should certain painkillers be avoided? Which symptoms could be signs of complications? How can complications be prevented? What happens if there are drug-drug interactions? Many painkillers are available from pharmacies without a prescription. They can provide effective pain relief, but might also cause side effects or complications. In order to use them safely, it is important to pay attention to the dose and interactions with other medicinal products. Over-the-counter painkillers available from pharmacies, such as ibuprofen or acetaminophen (paracetamol), can relieve acute pain. Their effectiveness will depend on things like the type and severity of the pain and the dose of the medication. Painkillers that are available without a prescription have been approved for the treatment of mild to moderate pain. They shouldn't be used for more than a few days in a row, and the specified maximum daily dose shouldn't be exceeded. Painkillers can have side effects and – in rare cases – lead to complications. In order to avoid adverse effects, it is important to make sure you use them properly. This is particularly true for people who have certain medical conditions or use painkillers regularly. A medication's package insert contains detailed information about its areas of use, the correct doses and how long you can use it for. You can also ask your doctor or pharmacist about how to use it properly. The largest group of over-the-counter painkillers are the non-steroidal anti-inflammatory drugs (NSAIDs). As their name suggests, they also reduce inflammation but – unlike other anti-inflammatory medicine – do not contain steroids. Over-the-counter NSAIDs are used in the treatment of many different kinds of pain, including headaches, period pain and toothache. NSAIDs reduce pain and inflammation and also lower fever. These medications are also by far the most commonly used NSAIDs. Acetaminophen (paracetamol) is another very widely used painkiller. While also relieving pain and lowering fever, it doesn't reduce inflammation (unlike NSAIDs). In some medications it is combined with an NSAID (e.g. acetylsalicylic acid and acetaminophen). Caffeine is sometimes added too. It isn't clear whether these kinds of combinations have any advantages or disadvantages over using the active ingredients separately. There are no good-quality studies comparing combination medications with individual drugs. COX-1 regulates things like the production of the prostaglandins that are needed to keep the lining of your stomach healthy. COX-2 regulates the production of the prostaglandins that are responsible for symptoms of illness such as pain, swelling and fever. By inhibiting the action of the COX-2 enzyme, NSAIDs can reduce pain, fever and inflammation. But because NSAIDs also inhibit the action of the COX-1 enzyme, they can cause side effects too – particularly affecting the stomach. It is still not exactly clear how acetaminophen (paracetamol) works. Although there are various theories, none of them fully explain its effect. The risk of side effects and complications can be reduced by using the lowest dose possible. It is generally important not to exceed the maximum single dose or the maximum daily dose. The information in the following table applies to Germany but may be very similar in other countries. So if someone has a packet of 400 mg ibuprofen tablets, for instance, they should not take more than three tablets per day (24 hours). Different NSAIDs shouldn't be combined with each other. But an NSAID can be combined with acetaminophen if one medication alone isn't effective enough. The most common side effects of NSAIDs affect the stomach. They range from minor problems like indigestion and stomach ache to more serious problems like gastritis, ulcers and bleeding in the stomach or bowel (gastrointestinal bleeding). The risk of complications can be significantly reduced by using other medication to protect the stomach. Proton pump inhibitors such as omeprazole or pantoprazole are typically used for this purpose. But over-the-counter painkillers very rarely lead to serious side effects if they are taken for a short time only. Several analyses of studies in recent years have also shown that certain NSAIDs, such as diclofenac, increase the risk of cardiovascular (heart and blood vessel) disease. But that is mainly if you take high doses over a long period of time. Nevertheless, it may still be a good idea for people who are at higher risk of cardiovascular disease, or already have cardiovascular disease, to take low doses of ibuprofen or naproxen rather than diclofenac. People who have cardiovascular disease can take acetaminophen (paracetamol) as an alternative to NSAIDs. Painkillers: How common are severe side effects of NSAIDs? are taking anticoagulant (anti-clotting) medication, steroid medication or SSRI antidepressants. NSAIDs also increase the risk of heart attacks or strokes, particularly in people who have already had one. These complications are more likely if you already have other kinds of cardiovascular disease or if you have risk factors such as high blood pressure. In people who have decreased kidney function, taking NSAIDs can increase the risk of acute kidney failure. It is especially important for them to avoid taking too high a dose. NSAIDs aren't suitable for people with advanced kidney disease. Acetaminophen (paracetamol) is then an alternative option. People who have a stomach ulcer or severe cardiac insufficiency (heart failure) shouldn't take NSAIDs either. Pregnant women are only allowed to take certain NSAIDs during certain weeks of pregnancy. It is best to consult your pharmacist or doctor if you have any questions. Acetaminophen is not suitable for people who have liver disease. This is because it is broken down by the liver and can cause severe liver damage. It is also not suitable for people who have problems with alcohol abuse. People who have a severely decreased kidney function should wait eight hours between taking the tablets, and make sure they don't take more than 3000 mg acetaminophen per day. In rare cases, ulcers can lead to perforation of the stomach wall (perforated ulcer). This complication is associated with sudden and very strong stomach pain. Perforation of the stomach wall is a life-threatening condition, so these symptoms should be taken seriously and the emergency services should be called immediately. Knowing the possible signs of a heart attack or stroke can also be helpful. always taking "as little as possible, as much as necessary,"
checking whether certain painkillers aren't suitable if you have any of the risks or medical conditions described above. Painkillers can also interact with other medications. It is called a "drug-drug interaction" if two medications influence each other – for instance, if they increase, weaken or cancel out their effects. As a result, the medications may no longer work properly or the risk of complications might increase. NSAIDs can interact with various medications. For instance, taking them together with certain medications that suppress the immune system (cyclosporine and tacrolimus) increases the risk of kidney damage. This is also true if you take NSAIDs together with diuretics or certain blood-pressure-lowering drugs (ACE inhibitors and angiotensin II antagonists). NSAIDs can increase the effect of anti-clotting medications (anticoagulants) such as clopidogrel and Marcumar, which may lead to bleeding. The risk of liver damage is higher if acetaminophen (paracetamol) is taken together with the antibiotic isoniazid. For the same reason, you should avoid drinking alcohol if you take acetaminophen. The cancer medication imatinib might also increase the kidney-damaging effect of acetaminophen. Taking acetaminophen together with anti-clotting medications such as Marcumar increases the risk of bleeding. 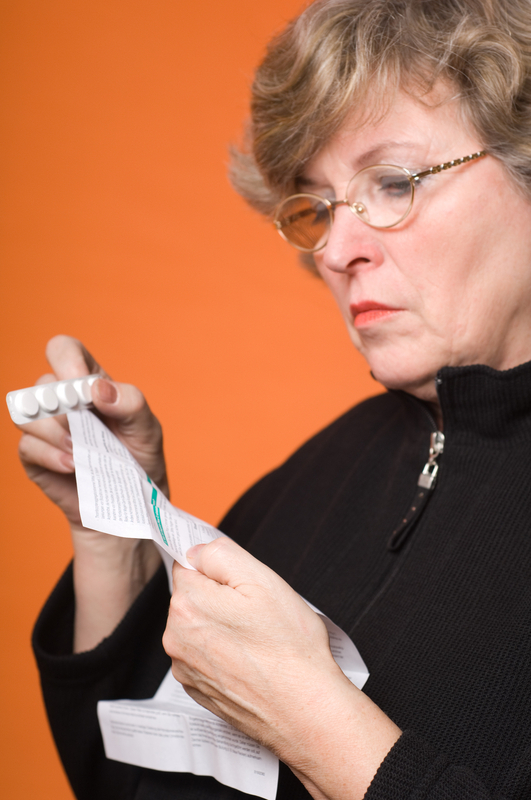 The possible drug-drug interactions of a medication are listed in the accompanying package insert. It is best to consult your doctor or pharmacist if you have any questions. Agency for Healthcare Research and Quality (AHRQ). Aspirin Use in Adults: Cancer, All-Cause Mortality, and Harms: A Systematic Evidence Review for the U.S. Preventive Services Task Force. September 2015 (Evidence Syntheses; Band 132). Coxib and traditional NSAID Trialists' (CNT) Collaboration, Bhala N, Emberson J, Merhi A, Abramson S, Arber N, Baron JA et al. Vascular and upper gastrointestinal effects of non-steroidal anti-inflammatory drugs: meta-analyses of individual participant data from randomised trials. Lancet 2013; 382(9894): 769-779. Derry CJ, Derry S, Moore RA. Caffeine as an analgesic adjuvant for acute pain in adults. Cochrane Database Syst Rev 2014; (12): CD009281. McGettigan P, Henry D. Cardiovascular risk with non-steroidal anti-inflammatory drugs: systematic review of population-based controlled observational studies. PLoS Med 2011; 8(9): e1001098. Moore RA, Wiffen PJ, Derry S, Maguire T, Roy YM, Tyrrell L. Non-prescription (OTC) oral analgesics for acute pain - an overview of Cochrane reviews. Cochrane Database Syst Rev 2015; (11): CD010794.